Watch Travel Channel anytime, whether you’re on the road or traveling from your couch. 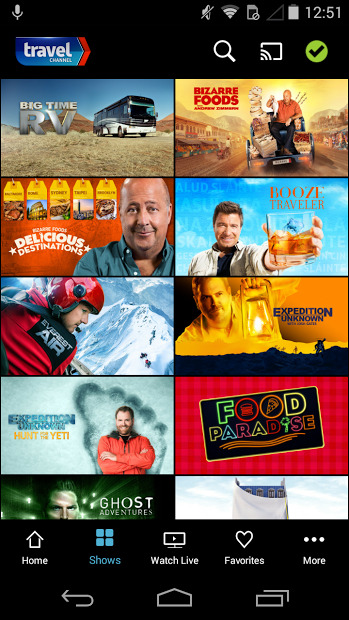 Enjoy both live streaming and on demand full episodes as well as clips and TravelChannel.com original content from your favorite shows like Expedition Unknown, Bizarre Foods, Ghost Adventures, Mysteries at the Museum and more. Note: You can watch the latest full episodes and stream live Travel Channel only if you have a participating television service provider. How to access the content? Just sign in with the username and password provided by your television service provider.